Check out our site for many new automatic knives. We have added about 10 new automatic knives in the past week and should be adding about 5-10 more in the next two weeks. Watch for your favorites and get them while they last. 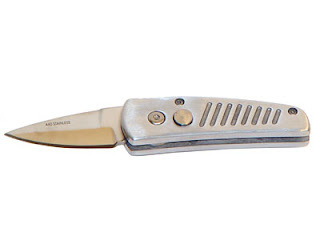 The pictured automatic knife is the new Minnow Automatic knife. Very good quality for a value blade.